hi all, have now been on stackexchange over 5 yrs, focusing on CS-related groups, mainly theoretical computer science and the computer science sites. its been a wild ride and full of a lot of color and online adventures. the cyber culture is quite rich. full of dynamic psychology and ripe for a sociological/ anthropological study. when finding this site early on and seeing their rapid growth, thought it could be a like a mini-facebook. but alas, there are really no other mini-facebooks! (lol at someone-or-other who told me in chat not long ago that SE is not a “social networking system”!) its a winner-take-all situation in capitalism and mirrored in cyberspace. This entry was posted in cyberspace, edu, open science / collab / collective intel, r&d homegrown on July 19, 2017 by vznvzn. hi all. another year swooshed by at rapid, sometimes near mind-melting pace. 2015 was again a banner year for CS and coding related areas. This entry was posted in code, edu, games, movies, popsci on December 11, 2015 by vznvzn. hi all. the age of internet celebrity is truly wild at times. 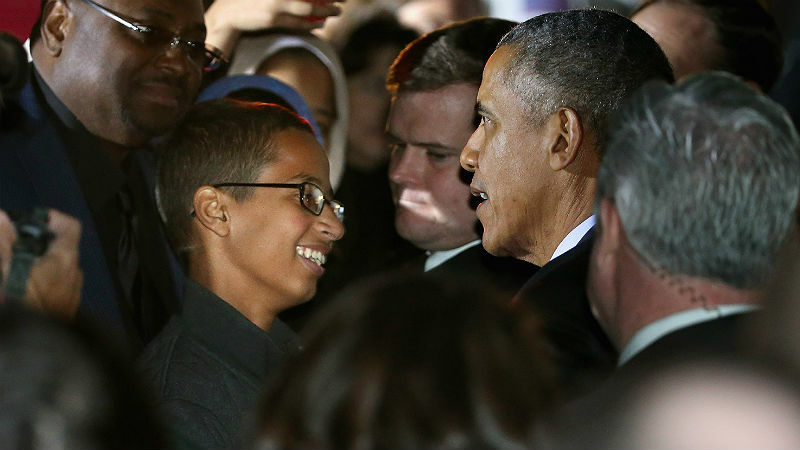 it reminds me of that old zen-like saying “be careful what you wish for because you just might get it.” 14-yr old “high school dropout” ahmed mohamed clock engineer (covered here 1mo ago) made it to astronomy night at the whitehouse and did meet obama in the crowd. but not before meeting the president of Sudan a few weeks ago who has been accused of human rights/ war crimes. This entry was posted in breakthrough, edu, popsci, prizes & awards on October 20, 2015 by vznvzn.